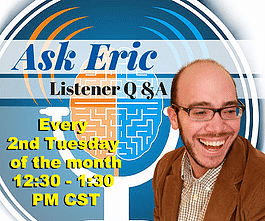 Joining me on this episode are Jessica McCabe and Edward Newton. Jessica is the creator of the extremely popular and successful How To ADHD YouTube Channel. She recently did a Ted Talk that has over 10 million views! 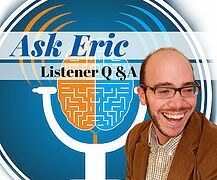 Edward has a background in television production and has played a large role in the success of How To ADHD. 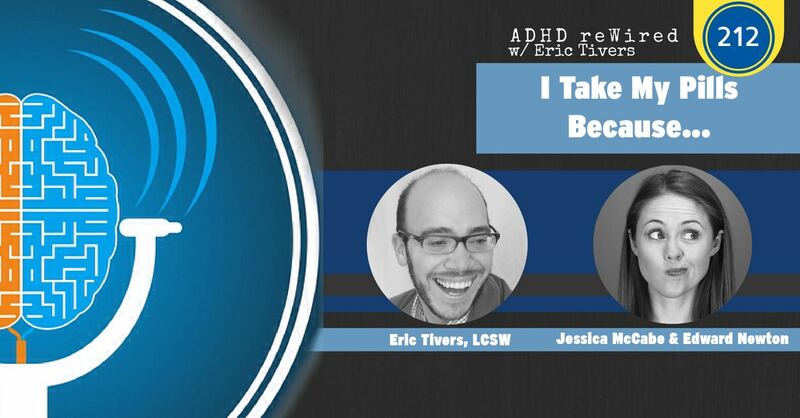 On this episode, you will hear Jessica and Edward talk about how How To ADHD has grown since they were last on the podcast. They also share the backstory behind her Ted Talk, including how the talk was put together and executed. Jessica has also organized a grassroots campaign in response to the Netflix documentary, “Take Your Pills.” We discuss why this film isn’t accurate and does a disservice to those who would benefit from ADHD medication. [05:07] – Jessica talks about being asked to do a Ted Talk. [07:32] – Jessica started How To ADHD about a year into their relationship. Edward stepped in to share his expertise with video production. [09:30] – Jessica shares how Edward helped craft the ending of her Ted Talk. [11:10] – Edward tells his version of the Ted Talk story. They admit to writing the second half of the talk on the plane. [16:55] – Jessica explains how time restrictions impacted her talk. [17:59] – Jessica describes what it was like to see a million views a day on her video. [20:58] – Since the last time she came on the podcast, Jessica and Edward have been able to go full-time with How To ADHD. [25:18] – We discuss some ADHD cooking tips. [28:00] – With around 100 videos completed, Jessica shares how their videos are evolving. [35:37] – Jessica and Edward talk about his ADHD characteristics and diagnosis. [38:53] – We talk about the Netflix documentary on the abuse of ADHD medication, Take Your Pills. [41:46] – Jessica explains that this production is painting everyone with a broad brush and did not draw a distinction between people diagnosed and appropriately prescribed medication and those who may have been abusing it. [45:29] – Jessica and Edward talk about how this film misrepresented ADHD meds and compared it to meth. [47:25] – Jessica talks about her response to this film, including the hashtag #ITakeMyPills. 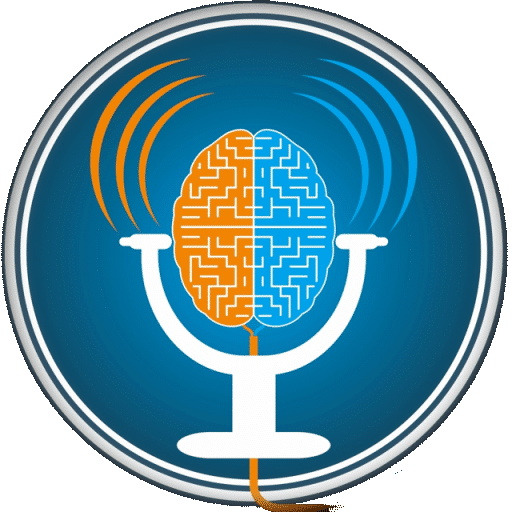 [49:40] – We talk about the idea that medication should be a last resort, and how this is not what the research says. We also discuss how safe these medications are. [54:43] – I share that my brain is like a clock and how it operates differently with and without medications. Jessica shares the positive effects of her starting medication. [56:35] – Jessica describes her grassroots campaign to change public perception of ADHD medication. [1:00:17] – Jessica shares how you can tell your own story about meds helping you. 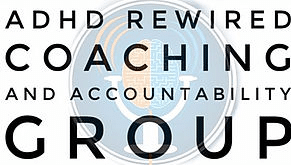 [1:05:28] – I share that this is the 4-year anniversary with ADHD reWired. [1:08:18] – Jessica shares how much time they invest in each video. I’ve been fighting taking medication for my adhd for years because I hate the idea of medication in my body. But I’m self-employed, a mom of two young children, and I feel overwhelmed all.the.time. So…I’m ready to surrender and open to the possibility of feeling better with medication. I know in my community we have no qualified ADHD therapists. I’m wondering some specific names of good ADHD medications I could bring to my family doctor. I have the inattentive type of ADHD if that matters. I love this podcast!! Thank you! !